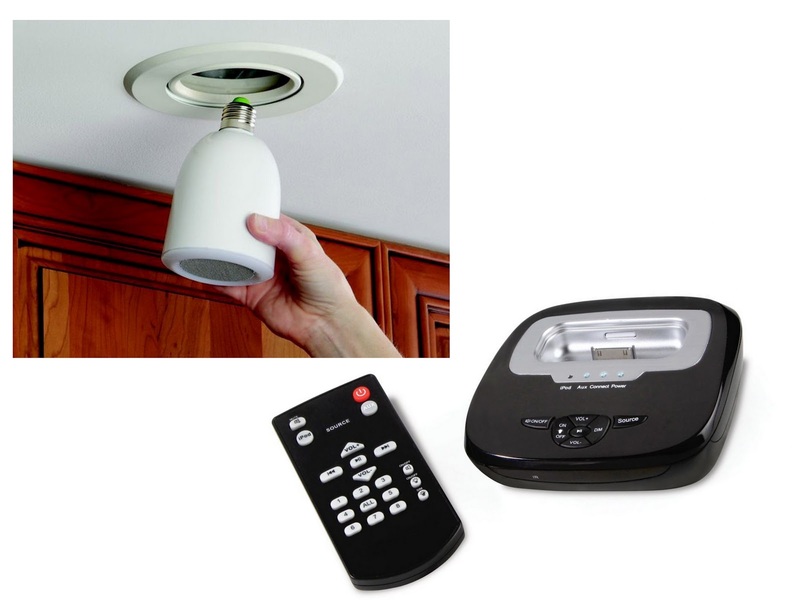 Audio light bulbs -- speakers that screw in to light sources and can wirelessly transmit sound from docked ipods. Yessirrrr, the world is now complete. I might need to get me a few of these. Soooooooo cool! That is a cool new gadget. Allows you to really place speakers anywhere.